This article discusses the impact negative mortgage events have on an individual’s Fair Isaac Company (FICO) credit score, and discusses the harm of lender over-reliance on scores in determining creditworthiness. The Fair Isaac Company (FICO) score is the predominant tool presently used by lenders to determine a homebuyer’s likelihood of paying (or defaulting) on a mortgage loan, a measure referred to as creditworthiness. Along with other factors considered in a loan application (such as job history, cash reserves, etc. ), a homebuyer’s creditworthiness sets the bar for whether and how much a lender is willing to lend and at what rate. The FICO score was developed so lenders could defer to an out-sourced standard to determine credit and avoid the expense and vicissitudes of an independent staff evaluation of a homebuyer’s credit history. Simplified, it is an equation which mathematically weights selected components of a homebuyer’s credit history and present financial circumstances to arrive at a number — the score — which is meant to gauge the homebuyer’s likelihood of repaying debt. no report on record that the homebuyer is deceased. Editor’s note — A homebuyer gets no credit for making timely payments on rent, utilities or cell phone bills, but he is penalized for failing to make payments on them. FICO scores do not reflect a homebuyer’s positive payment history of such accounts, nor are they alone sufficient to establish a FICO score. However, when such bills are delinquent, they may be reported to the bureaus by those creditors as delinquencies. If the accounts go into collection or become so delinquent a judgment is recorded against the homebuyer, they have an adverse effect on a homebuyer’s credit score. After the six-month credit building period to establish a score has passed, the homebuyer’s credit behavior is further assessed, and a score is assigned according to his credit behavior known to FICO. The FICO score range is from 300-850. Theoretically, the higher the score, the more likely a homebuyer is to repay his debts. As credit scores are based on a homebuyer’s history of credit use, no use of credit means no score exists. 10% is type of credit used, including the percentage difference in types of accounts, e.g. credit cards, retail accounts, installment loans, mortgages, etc. FICO provides the scoring formula in a “black box” (meaning the bureaus do not have access to the proprietary algorithm) to the three credit bureaus — Experian, Transunion and Equifax. The three bureaus in turn subject an individual’s credit history to the encoded formula which determines the credit score. The bureaus then market and sell the resulting scores as a service to lenders (FICO receives a royalty each time a credit score is calculated). A FICO score does not reflect timely rental payments, but it may be negatively affected by the failure to pay rent on time. Thus, scores vary across the three bureaus, depending on the debt information each has on file for an individual. Lenders buying the score then use this information to the extent they wish in their mortgage underwriting decisions. Typically, lenders pull credit scores from all three bureaus then average them or use the middle score to set the score they will consider for use in analyzing the individual seeking a loan. Media reports often overstate the FICO score impact of a homeowner’s decision to walk away and other negative aftershocks of the Great Recession, the inclusive housing bust and the accompanying financial crisis. All sorts of would-be pundits bandy about numbers as high as 200-300 points off for a foreclosure. Self-proclaimed “experts” are dragged into the mix to give their opinions on how a homeowner might fare credit-wise when facing foreclosure or contemplating his enforceable walkaway option. 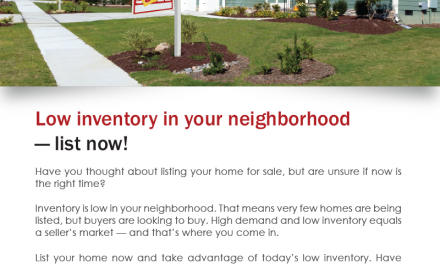 The cacophony of opinions from uninformed sources confuses homebuyers and keeps them in an uninformed state, a corruptive phenomenon referred to as asymmetry of information — industry information that the buyer is not aware of and does not have access to, and if he did, would impact his mortgage decisions. Thus, as gatekeepers of real estate, it’s up to brokers and agents to help prospective homebuyers and owners weed through the compounded misinformation to gain the knowledge they need to make their housing and mortgage decisions – all part of a licensee’s obligation to a client. On FICO’s consumer website, MyFICO.com, FICO discloses an example of how identified events in a person’s credit profile might affect their credit score, in essence, the numerical extent of the credit ding. These numbers are elusive since they are given in a range, and the ranges vary greatly as they are highly dependent on a homebuyer’s current credit score. FICO’s scoring method is thus numerically inconsistent as it penalizes homebuyers with higher credit scores more than those with lower credit scores for negative events. Data Source: MyFICO.com, the public consumer subsidiary of the Fair Isaac Company (FICO). * Uncoordinated multiple inquiries have a greater negative impact than isolated single inquiries. See below for discussion. ^ The drop for loan modification inquiries varies depending on how the lender reports the modification. See below for discussion. Editor’s note — FICO scores look at a prospective homebuyer’s entire credit makeup to arrive at a FICO score, however, for the purpose of clarification, the discussion of FICO scores which follows treats each event as though all other events remain unchanged, i.e., the impact of a foreclosure is only based on that event, and does not include the dings for the inherent delinquencies or loan modifications leading up to the foreclosure. This gives the clearest picture available to those considering their options for resolving their mortgage problems. Also, the effect of a negative item on a credit score dissipates over the time after it first appears on the credit report. These negative-event credit hit ranges depict the initial impact of each event, not the impact that the event has, say six months or a year later. For more information on this dissipating-impact phenomenon, see “The effects of foreclosure” discussion below. Only hard inquiries drop FICO credit scores, and do so in the range of anywhere from 0 to 8 points. Hard inquiries stay on a credit score for two years. However, the homebuyer’s credit score is based on the number of inquiries in any 12-month period. Important to note is when a homebuyer applies for a mortgage with multiple lenders within a 45-day period, his credit score will only be “charged” – dinged – for one event and thus the FICO score drop (or a credit “ding”) of 0 to 8 points will only occur once. 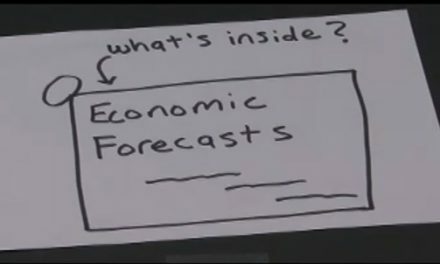 Editor’s note — In the 1990s, the FICO algorithm only allowed for a 14-day “shopping” period, and later a 30-day shopping period, but the newest version which went into effect in the early 2000s allows for a 45-day shopping period, more consistent with the Department of Housing and Urban Development (HUD) and Department of Real Estate (DRE) encouragement for homeowners to shop several lenders for a mortgage. According to FICO, most lenders who choose to pull credit scores are choosing to pull those using the new algorithm which recognizes a 45-day shopping period, but some may still be using older equations, and thus give homebuyers less time to complete loan applications before reporting a new, separate inquiry (and the resultant 0 to 8 point credit ding). When a homebuyer applies for a mortgage with multiple lenders within a 45-day period, his credit score will only be charged for one event. Mortgage inquiries completed over a longer period of time or outside the 45 day multiple loan application period usually take less than five points off a FICO score. However, this is also dependant on a homebuyer’s specific credit position; homebuyers with less credit available (called thin credit) and a higher number of inquiries within the 12-month reporting period will experience an uncertain but greater negative impact for inquiries than those with more available credit and fewer overall inquiries. This is a reverse order of weighting on the credit score than FICO uses for foreclosure related events. FICO’s reasoning is based on research finding that people with six inquiries or more on their credit report can be up to eight times more likely to declare bankruptcy than people with no inquiries. Inquiries right after delinquencies or defaults also purportedly raise a red flag with the FICO formula, and result in unknown (read, undisclosed) greater point drops — dings — to the credit score. Individuals exhibiting these types of activity are classified as high risk and can experience FICO score dings ranging from 10-24 points per inquiry. 30-day mortgage delinquencies, like other credit delinquencies, stay on a homeowner’s file for seven years, and might reduce a score by between 60-110 points. For 60-day or 90-day delinquencies, the credit ding migrates to a range closer to that of foreclosure detailed below. Strangely, timely rental and utility payments are not counted as positives in the FICO score calculation. Conversely, delinquent payments on either rent or utility payments may be reported to credit bureaus (at the landlord or utility company’s discretion). They then appear as delinquencies and are reflected by a drop in FICO score. Landlords and utilities can also obtain judgments for delinquent payments, or send payments to collection agencies. Both judgments and accounts in collections cause a drop in credit scores in the range of 85-160 points, similar to the point drop for a mortgage foreclosure. A loan modification reduces credit scores, but a pre-established point drop is impossible to determine as the calculation of the ding depends on the manner in which the lender reports the modification to the credit bureaus. Loan modification encouraged by government-sponsored programs was especially damaging for those seeking help when they were first implemented. In May of 2009, the Consumer Data Industry Association (CDIA) released guidelines encouraging lenders to use comment code “AC” when reporting loan modifications. Code AC indicates that the account is being paid under a partial or modified payment plan. In FICO score language, this translates into a possible reduction of over 100 points off a credit score. Editor’s note — CDIA guidelines are not law; their use is optional for lenders when reporting loan modifications. In November of 2009, a new credit scoring comment code of “CN” was added specifically for designating a loan modification was performed under a federal government plan. FICO does not give any weight to this designation as FICO has not yet determined what, if any, predictive power these government loan modifications have on a homeowner’s future proclivity to pay his debts. Since loan modification programs are abject failures with roughly 65% modification recipients re-defaulting after permanent modification (with few initial modifications becoming permanent), this CN designation for modifications will likely go nowhere. Editor’s note — This does not mean that a homeowner who enters into a loan modification arrangement does not experience credit score impacts. Lenders require a mortgage be delinquent for 60 to 90 days before they will even consider a modification. Thus, by the time a lender has deigned to speak with or enter into a modification with a homeowner, the homeowner’s credit score has already been damaged by his lender requiring a mortgage delinquency ding. Short sales, deeds-in-lieu and other foreclosure alternatives (separate from the loan modifications, as discussed above) are treated similarly to foreclosures when it comes to the corresponding point drop in FICO scores. Today, the FICO formula has no way to differentiate any of these non-foreclosure events from an actual foreclosure sale — they are merely reported to bureaus by lenders as “not paid as agreed,” inspite of the fact they have been and are now being paid as agreed under default conditions required by the lender. Thus, an underwater homeowner considering his options and concerned for his FICO score does not need to agonize. Whether he attempts a short sale or other workout with his lender or simply lets the property go by way of foreclosure, the FICO score damage will be the same. Short sales, deeds-in-lieu and other foreclosure alternatives are given the same FICO score treatment as foreclosures. Foreclosures stay on a homeowner’s file for seven years, and can negatively impact a score between 85-160 points. However, if a homebuyer keeps his credit clean but for the mortgage default and foreclosure (as typically happens in a strategic default), his credit score will begin to rebound after as little as two years if timely payments are made on his other obligations, such as auto loans and credit cards, and he keeps his use of additional credit in check. He will then be eligible for a Federal Housing Administration (FHA)-insured mortgage, which is available within two to three years after a foreclosure. Regardless of the type of bankruptcy petition filed, the reduction in the FICO score is the same – around 130-240 points. Chapter 13 bankruptcies stay on file for seven years, and Chapter 7 bankruptcies stay on file for ten years. Bankruptcies do the most damaging to FICO scores since they typically encompass the restructuring or charging-off of multiple credit accounts as opposed to one debt on a mortgage loan foreclosure. 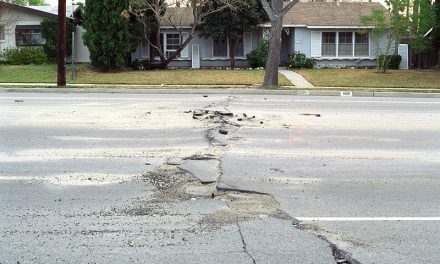 From a homeowner’s perspective, there is no need for a federal bankruptcy petition if his home is the only debt he is in need of discharging; bankruptcy would have a far more damaging effect than necessary since foreclosure will discharge his purchase-assist home loan as a matter of California law. The FICO score was created to allow lenders to outsource much of the analysis which goes into their loan decisions. Instead of having employees track down and consider each individual homebuyer’s creditworthiness, lenders had the credit arrangement in a FICO score do much of the hard work for them. Unfortunately, as lenders’ reliance on these credit scores grew, potential homebuyers (and other borrowers) began responding to the effects of this reliance. As a proprietary formula created by FICO for the bureaus (and thus, for constituent lenders), many workings of the FICO scoring system are deliberately kept undisclosed; thus, homeowners cannot make informed decisions as to whether to default since they don’t know the consequences if they do. Amazingly, these deliberately undisclosed conditions exist in spite of the impact they have over an individual’s financial future. The operators behind these credit scores are secret judges, with lenders as the juries, of a homebuyer’s finances. 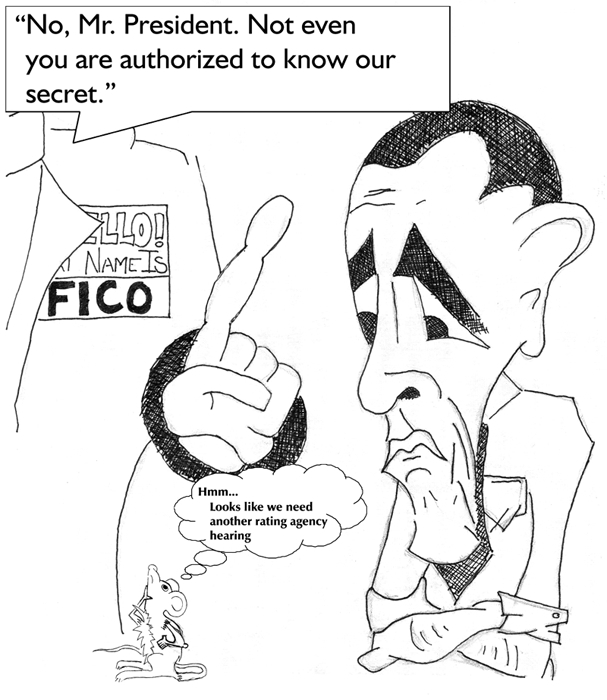 FICO is a private company, and is not regulated by the government. It merely provides a “predictive” scoring service to bureaus and eventually to lenders who then use the scores to make financial decisions impacting every aspect of consumer borrowing and thus the national economy, including the nation’s housing policies. A great deal of a prospective homebuyer’s financial information is in the collective hands of a patently misused and defective formula, three credit bureaus and all the nation’s creditors as they report — correctly or not — an individual’s financial activities. The individual homebuyer must then pull his credit report (which is free once a year, but to see the actual credit score he must always pay), check for any erroneous items on the report and request the creditor (or lender) to re-report the item correctly. Then, he must check his credit report again (which is free if there was an error that impacts scoring) to make sure the item has been re-reported correctly. After that has been completed, the homeowner must again pay if he wishes to see his actual credit score, even though the lender is the party who benefits from having a number to fall back on so they can avoid an independent analysis of a homeowner’s ability to repay a mortgage. While FICO provides these numbers to lenders, lenders are far from powerless about the fate of the homebuyer who is looking for a mortgage loan. Lenders create internal lending structures to follow FICO score tiers. There are several iterations of the FICO score available to lenders, depending on what the lender judges will be most useful in rating their borrower base. Thus, lenders can choose the kind of FICO score they want to pull. A lender also has power over how it reports the behavior of a borrower. As discussed above, these reporting judgments can range from how a lender decides to report an inquiry, how they report a loan modification, to how they correctly or incorrectly report a homeowner’s payment history. Reported correctly or not, these variations affect credit scores differently for the same event. Thus, homeowners are kept in the dark about their own financial standing while lenders take their advantage to do what is in the best interests of their bottom lines. Editor’s note — We have first-hand evidence of lenders wielding this “fear of the unknown” to get borrowers to bend to their will. A first tuesday editor recently received a notice that one of his personal credit card companies would be instituting an annual fee. When he called to cancel the card (which was perhaps not incidentally geared towards college students/recent graduates), he was politely told that if he cancelled, his FICO credit score would be damaged. As a first tuesday editor, he had enough knowledge to understand the ramifications of cancelling, and thus did not allow the thinly-veiled threat to sway him. But consider the impact of these fear tactics on that huge segment of our California population who do not know and are not in a position of understanding — such as most homeowners and/or credit card holders. Lending decisions must be based on the homebuyer’s gross income, downpayment and the property value, not simply the FICO score. Editor’s note — Each of the three credit bureaus —Experian, Transunion and Equifax — use a version of the FICO scoring model to report credit scores. In 2006, the three credit bureaus created their own credit scoring model, the VantageScore, in order to sever their reliance on the FICO model. Thus far, VantageScore is only sparsely used in the lending community, as it does not have a long enough track record to justify its reliability to most lenders. FICO now faces two uncertainties: reliability and competition. The lender’s ability to control a homebuyer’s credit history by different types of reporting gives lenders yet another asymmetrical advantage over a homebuyer. This is especially true in light of the fact a homebuyer does not have the same industry insider knowledge to make a decision about the issue, be it delinquency, negative equity or foreclosure. the historical valuation details that demonstrate the property actually qualifies as collateral. Relying on a credit score alone does not achieve the purpose of leveling the playing field from lender to lender if these aspects and other individual details are not given their due and serious weight. In a few years when the homeowners who walked away from their underwater mortgages begin to apply for mortgages again, lenders will see a spate of letters of explanation explaining the necessity of making the rational decision to walk away. Lenders will need this set of past homeowners to again become homebuyers to remain in the business of lending money, and the letters of explanation for their defaults will begin to cast a telling shadow on the wisdom of leaning so heavily on a loosely policed and mathematically abstract credit score instead of sound regulated lending criteria. This new responsible lender will not only do better for its loan portfolio yields, but also for the homebuyer, as they again will have the transparency of a loan transaction they need to make good long-term financial decisions. Lastly and of warning to those controlling credit scoring: transparency may not be in the best interests of the lenders and bureaus, but sooner or later the lack of it will likely bring down stricter and more rigorous regulation that may oust the credit scoring practice altogether. While the credit score itself must always be purchased, an individual’s credit report is available free of charge once every year. To find out where to go to obtain the free annual credit report and the steps to take to remove erroneous information from a credit report, visit the Federal Trade Commission’s Facts for Consumers page. The credit score itself can be purchased directly through FICO, or from any of the three credit bureaus: Experian, Transunion or Equifax — although it must be kept in mind that each of the credit bureaus may reflect a different score based on their divergent information. Costs for credit scores vary depending on the number of bureaus consulted for the score. Single-bureau credit scores run around $15, while tri-bureau scores run around $40. 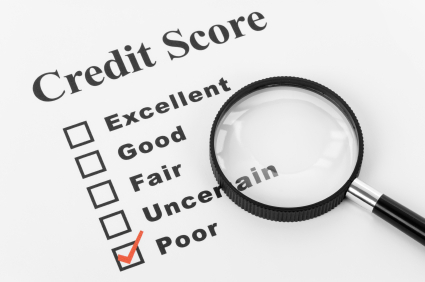 All self-run credit inquiries are soft inquiries and do not affect credit scores. In addition, all three of the bureaus, and several other third-party providers offer services which track an individual’s credit score for a monthly fee. These services can be useful to detect identity theft and help with keeping tabs on how a credit score changes based on credit use. As an expert on consumer credit and a research maven on FICO, I commend the writer of this article for accuracy. With a score like that.It is not necessary for them to pull your drecit.Just tell them you have a rate through your bank of ?.?? % and that your drecit score with them is 793 Equifax.Ask them if they can beat the rate and what is the rate that they can do.I have seen 4.37 as about the lowest through a prime lender like Chase bank.Some drecit unions are doing 4.95 and some maybe even less.But I would first find the car you want.Work out the money part of it, then before you give them drecit information tell them you already have an approval through your drecit union. Tell them the rate and tell them you only want to use that drecit union.They will offer you a lower rate if they have it.just make sure it is not an incentivesed rate.usually on those you give up the rebate to get the low low rate, ie .0%, 1.9, 2.9 or 3.9 % ..Don’t ask them to beat it, let them try and then if it is not more than .25 less than what you already have, then just tell them no I like my bank.When you get into the finance office, that is the guy that will finalize your rate anyway. So tell them what you are working with, and see if he can beat that. Without giving up any rebates. As a mortgage broker for the last 16 years lenders will consider short sales as a foreclosure regardless of the score. That means that they will have to wait just as long to buy again as someone whose home went into foreclosure. It has been that way since I started in the business in 1994 and I do not see it changing with the underwriting guidelines of today. I think it is time now, to jump into a new home under my wife’s name. I am now considering myself as a seasoned investor…am I? Wish me luck! I always repost info from this Newsletter. As a realtor in the Inland Empire, I am living the effects of the housing/lending scam that went on those peak years..and the consequences we are paying now. The main reason I work Short Sales is because it gives the homeowner some control over the deficiencies. I can negotiate it down and usually get a demand letter stating that the Bnk agrees to non-pursuit. This is important to homeowners with other assets. I strongly believe that the Banksters will pursue only those homeowners with assets..and I’d bet we’ll see this within the next 3-4 years. The hit on the credit score is an addendum to the real reason for doing a Short Sale..and each Seller is different. I am a Certified Distress Property Expert and I can tell you first hand that a short sale does not have the same impact on credit score as a foreclosure. I actually negotiate short sales and pull a client’s credit before and after the process. The short sale can be an impact of 50 points or so and is recorded on a credit report as “account settled in full for less than the amount owed”. If a person goes through the short sale process, the impactful event is more so if they should be delinquent on their loan and for how many months, not the short sale itself. There are lenders who are processing short sales without the homeowner being in default which is the critical time to sell the home in a short sale before an impact from missed payments. As a side point, statistics show that homeowner’s can significantly reduce any possible deficiency judgement through a short sale versus a foreclosure. Other than that, I thought your article was well written and informative. I agree with Mr. Pereira, above. Thanks for sharing. This is the best analysis I have ever seen on FICO scores and its impact on short sales, foreclosures, bankruptcy and strategic defaults. Thank you!